Here is something that makes a nice gift, easy to do. You will need a sewing machine. (basic straight stitch) Notebook paper, and a piece of card stock. I bought several small notebooks when school supplies came out, they were 5/$1.00 or you can cut paper and make your own. You will need about 15 pages. Mine measures 4 1/2 x 3 inches. 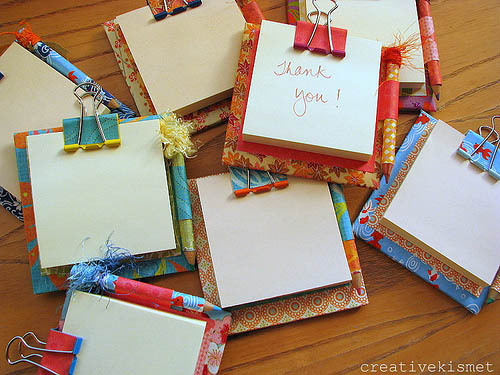 Cut your cardstock to twice the length plus 3/4 of an inch and 1/4 of an inch wider than your notebook paper. Mine measures 9 3/4″ x 3 1/4″. Fold up bottom edge 5/8 of an inch, tuck paper into this fold, then fold cardstock at top of paper. Sew a 1/4″ in from the small fold to hold paper in place. Tuck the long end under the small flap and you are done. Hi; while at the beach we went into an art gallery that had a wreath made out of driftwood and seashells. So I said to myself “I can make that.” I used a wire wreath made for flowers, per-wrapped wire with brown florist tape and hot glue. I bent the wire in half and wrapped the middle around the wire frame, added a piece of driftwood and gave a twist, add an other piece of wood and twist…keep going until you have about an inch of wire left and wrap that around the frame and start with a new wire and repeat. Once I had all the driftwood in place I hot glued the wood, wire and frame from the back to give it support and make sure everything stayed in place. Then back on the front I added my seashells and hot glued them in place. A twist of wire on the top lets me hang it the hook. This was a pretty easy project. The one in the gallery was done with a masonite board wreath painted turquoise , but I couldn’t find the masonite board wreath, so I improvised. It only cost about $5.00 and I am happy with the results. OK; I never knew how much I was attracted to flowers, but they always seem to catch my eye. 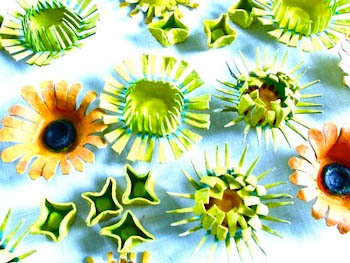 These flowers are made out of recycled egg cartons. And this time of year I always have a collection of egg cartons. Michele Made Me gives wonderful instructions and photos. I recycle because it is a cheap way to do crafts and it is fun to look at something and think outside the box. What can I do with this??? 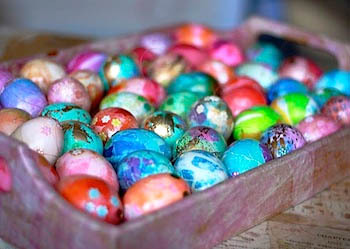 There are so many cute ideas out there for Easter decoration and crafts. 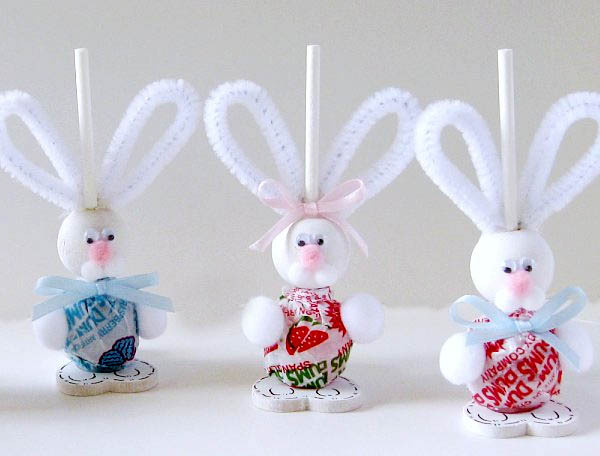 Here is one making bunnies out of lollipops . The directions (with pictures) are easy to follow. 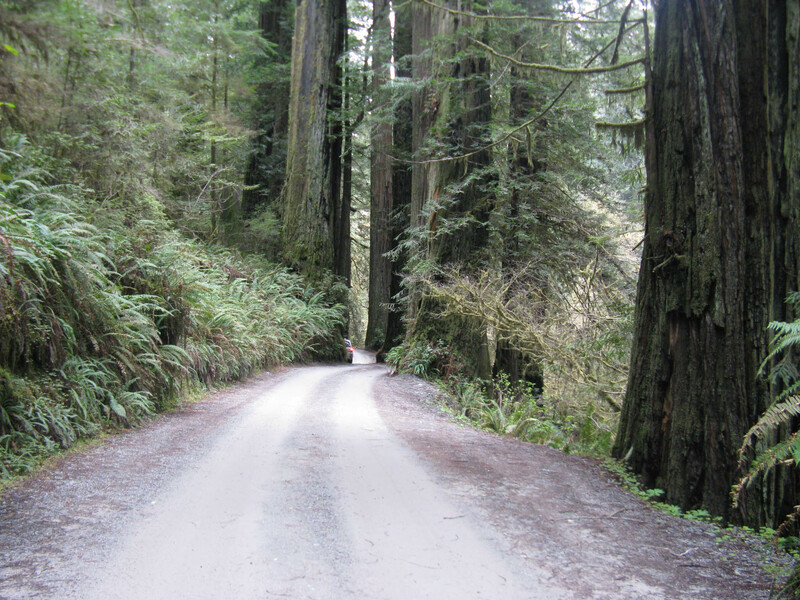 We just got back from spending a week in the redwoods of California. What fun! It was so amazing to stand next to those giant trees. I came back with a few ideas that I want to try. 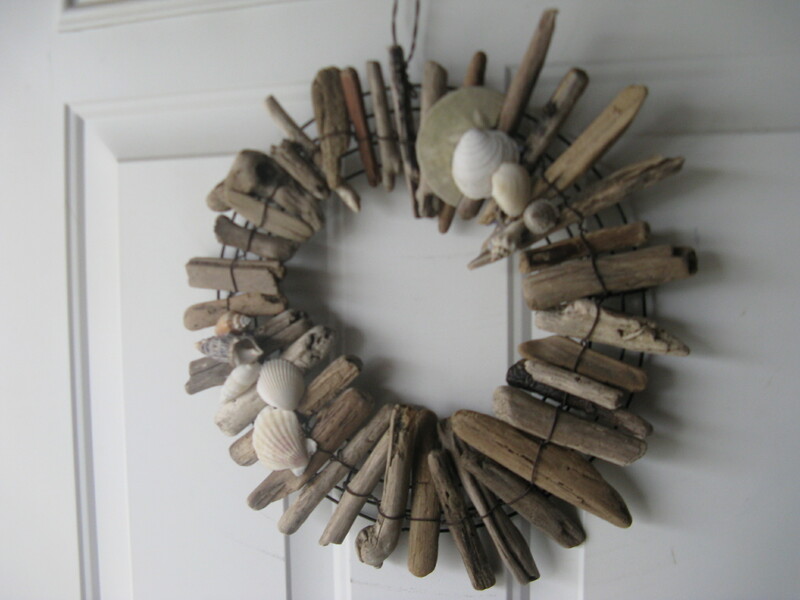 One is a cool wreath made out of beach collections. (sea shells, driftwood, rocks) I will post pictures and how-to after I get it finished.